India split into India and Pakistan and forced people to opt for one or the other. It affected all sectors including the film industry. 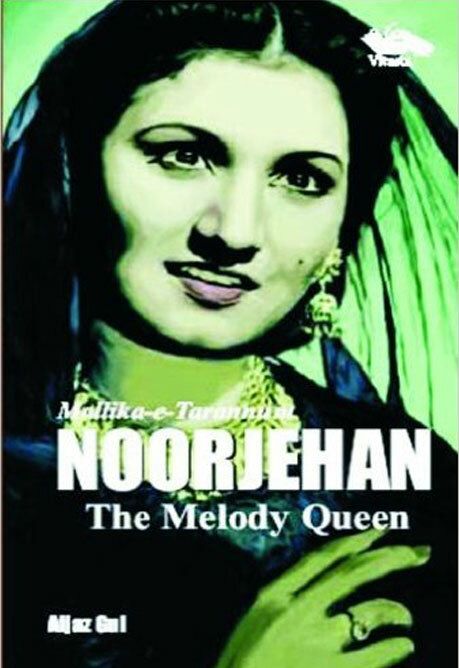 Singer-actress Noorjehan represented the generation that suffered the most. After becoming immensely popular across the country in the 1930s and 1940s, she opted for Pakistan after the Partition. But physical location of artists has often failed to divide them or their fan following. This was very true of Noorjehan. The magical quality of her voice continued to wield a charm on both the countries. Fans treated her as a common treasure and a symbol of shared tradition and values. She was the most sensational singer-star of the Indian film industry of her time and was often called Mallika-e-Tarannum (the queen of melody). Even Lata Mangeshkar, referred to as the nightingale because of her melodious voice, was inspired by her. She was born in Qasoor (Punjab) of undivided India in 1926. She perfected her classical singing under Ustad Ghulam Mohammad Khan and enthralled audience with her personality which was a rare blend of beauty, voice, acting and success. She passed away in Pakistan in 2000. Her first visit to India after Partition was in 1982, when she was welcomed with open arms by one and all including the then Prime Minister, Indira Gandhi. She was also received by Dilip Kumar and Lata Mangeshkar. The audience had got one more opportunity to hear her sing live Awaz De Kahan Hai… Her voice had not lost the magic touch. The 10,000 songs she rendered in Hindi, Urdu, Punjabi and Sindhi acted as a vibrant link between both sides of the border reminding people of their glorious past. Her first major hit was Khandaan in 1942, after which she married its director Shaukat Hussain Rizvi and shifted to Bombay (now Mumbai). Soon followed other hits such as Duhai (1943), Naukar (1943), Nandan (1943), Dost (1944), Badi Maa (1945), Gaon Ki Gori (1945) and Anmol Ghari (1946). In Jugnu in 1943, her lead actor was Dilip Kumar. In Zeenat (1945) she popularized Qawwali with songs such as Aahein Na Bhari Shikwein Na Kiye. While her professional side was exemplary, there was turmoil in her personal life. She had a series of flings, two divorces and many scandals. She was very possessive and thought she could hold people through emotions. Her failure to retain those she considered dear hurt her and left her heart-broken. Aijaz Gul is a film critic and a prolific writer. His literary work includes Lights Camera Action (Urdu) 1991, French Films (English) in 1991 and Dhundli Tasweer (Urdu) in 1992. He is a member of NETPAC (Network for the Promotion of Asian Cinema) and FIPRESCI (International Film Critics Association).